I finally got around to adding an antenna for the 2m and 70cm bands at my house. I chose the Tram 1480 since it got great reviews and was half the price of comparable amateur base antennas. 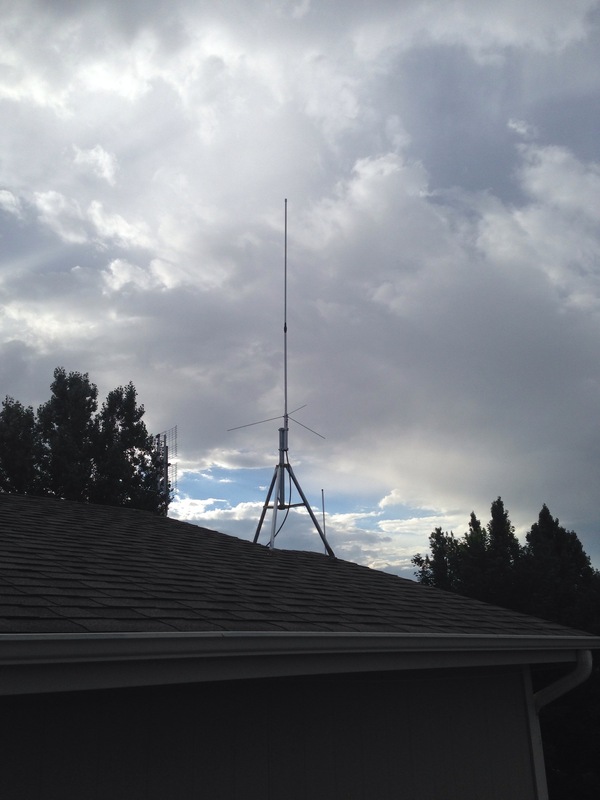 The antenna is fed with about 40′ of LMR-400 and is mounted to a short satellite TV mount about 30′ above ground level. So far this setup seems to work great, but I don’t spend much time on these bands so time will tell. I did use self-sealing antenna tape on the mid-section joint, based on reviews about water getting into the antenna. This entry was posted in N0BCB and tagged amateur base antenna, lmr-400, lmr400, tram 1480.